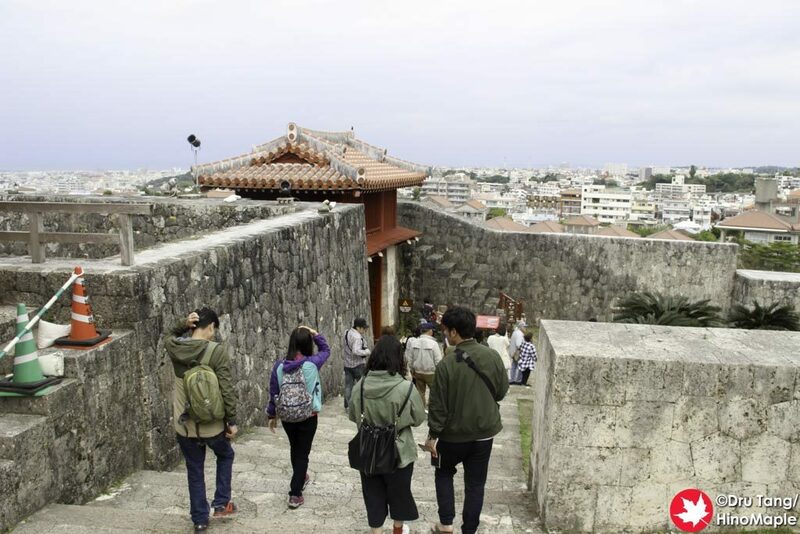 Shuri Castle is the main castle of Okinawa and the most visited castle as well. It is a very beautiful castle that has a lot of Chinese influences. When you visit Okinawa you are always in for a surprise as everything is unique compared to Japan. It really is a mixture of Chinese and Japanese influences along with its own unique flavour. 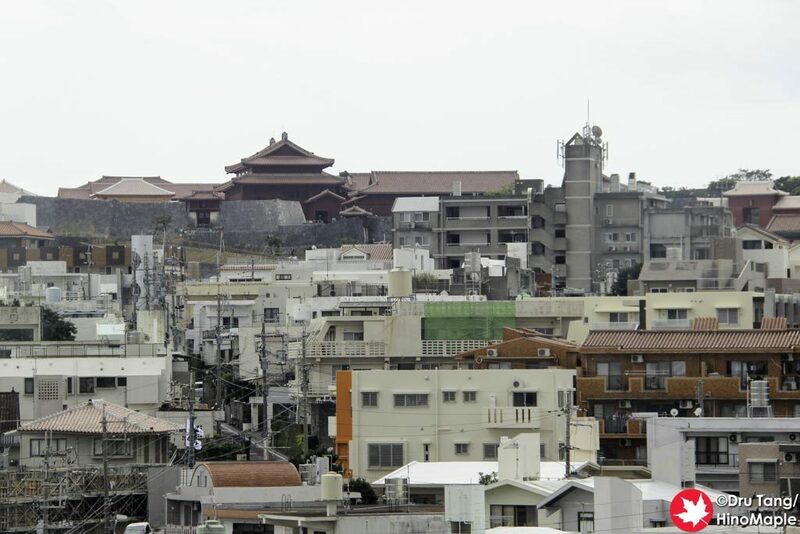 I love to visit castles in Japan and Shuri Castle is no exception. The easiest way to get to the castle is to take the Yui Rail to Shuri Station and walk in. The most direct entrance is to follow the signs from Shuri Station and along the main road. 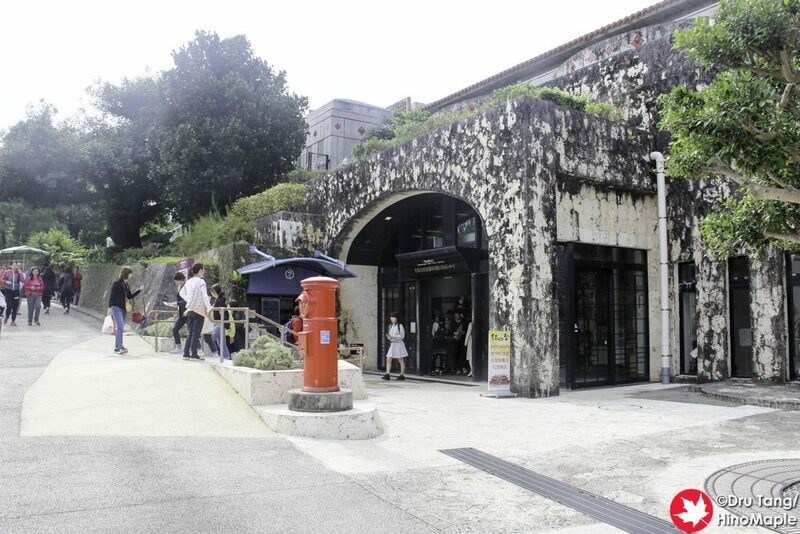 Once you pass Lawson’s, just turn left and you will be on the way to the main entrance to the paid area of Shuri Castle. 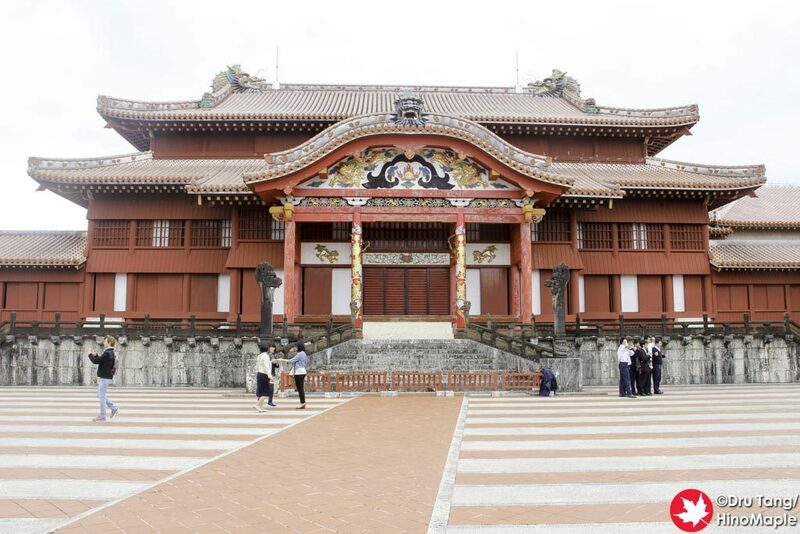 Shuri Castle and Shuri Castle Park are considered 2 of the same things. The park itself is a nice open space that encompasses a nice park area. You can spend a good hour just exploring this free area and there is also the castle itself which has an admission fee. 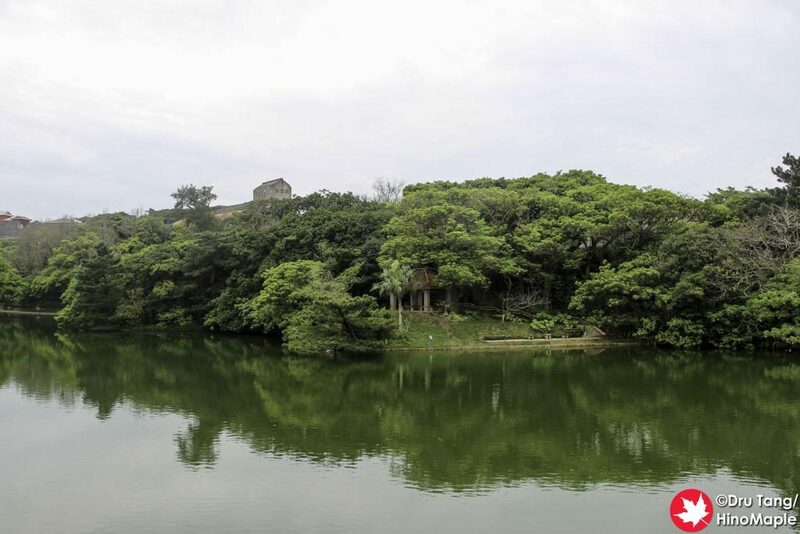 When I visited I chose to walk all the way down to the Tamaudun which adds another 5 minutes, but it is the traditional entrance to the castle. The shortest route lets you enter from the side. The entire castle grounds are very different to traditional Japanese castles, yet many things are still familiar. The western side of the park is also the location of the main parking lot. Most tours will start in this area, specifically the visitor’s lobby and Suimuikan. With a few Chinese tour groups making their way into the visitor’s lobby, I decided to skip it as it was too crowded and it was a good choice. 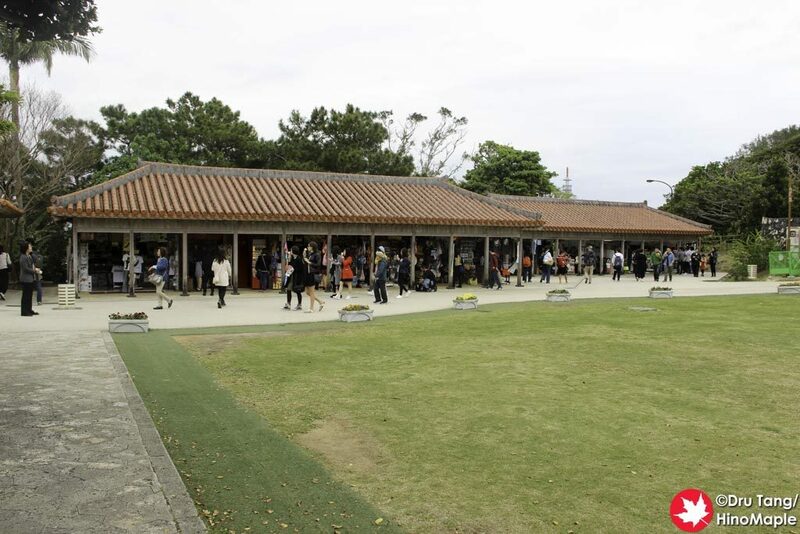 I did check out the Suimuikan later and while it was a nice place to rest, it was a typical tourist spot where you can buy souvenirs related to Shuri Castle as well as Okinawa in general. 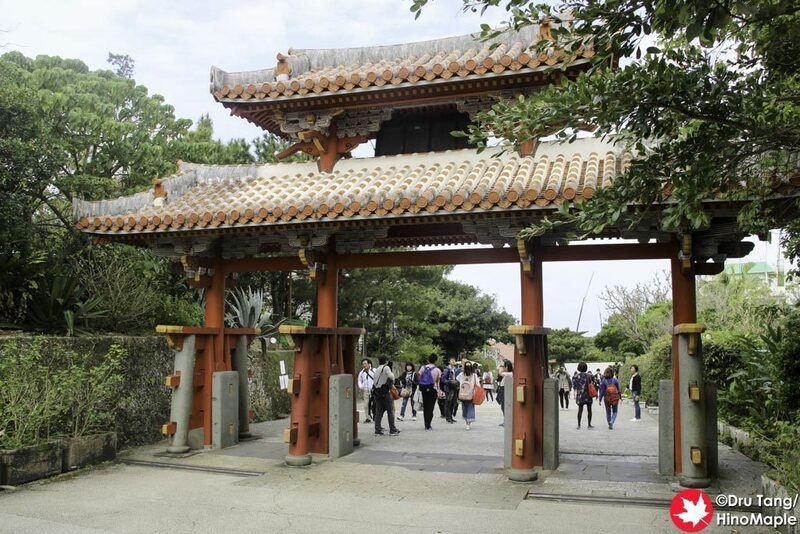 The best path is to skip the Suimuikan and head up the main entrance via a series of gates. 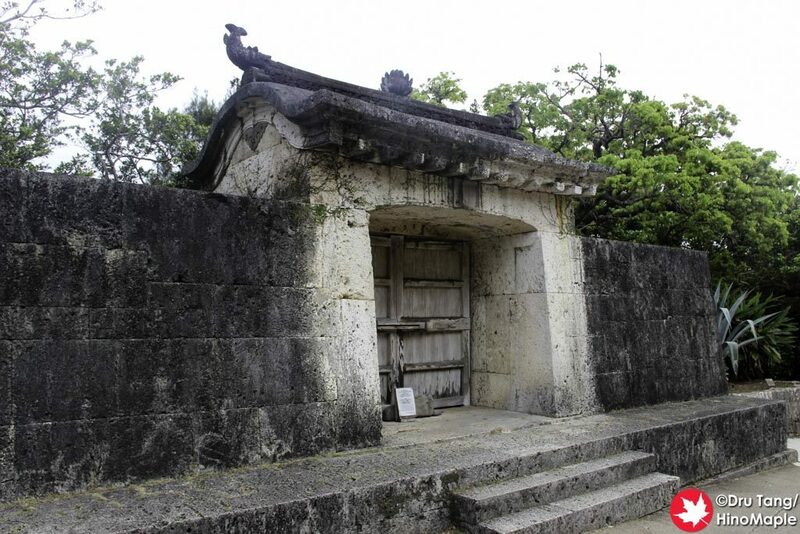 The gates are majestic in their locations and a great fortification for the king of the Ryukyus. I was visiting at the peak time for tour groups so I was having a difficult time just taking photos and enjoying myself. There are guides to help you if you do get lost a little but it isn’t hard to figure out where to go as there are many signs. One gate I didn’t pay much attention to was the “Sonohyan-utaki Stone Gate” which is a world heritage site on its own and represents the place where the king would pray for a safe journey. 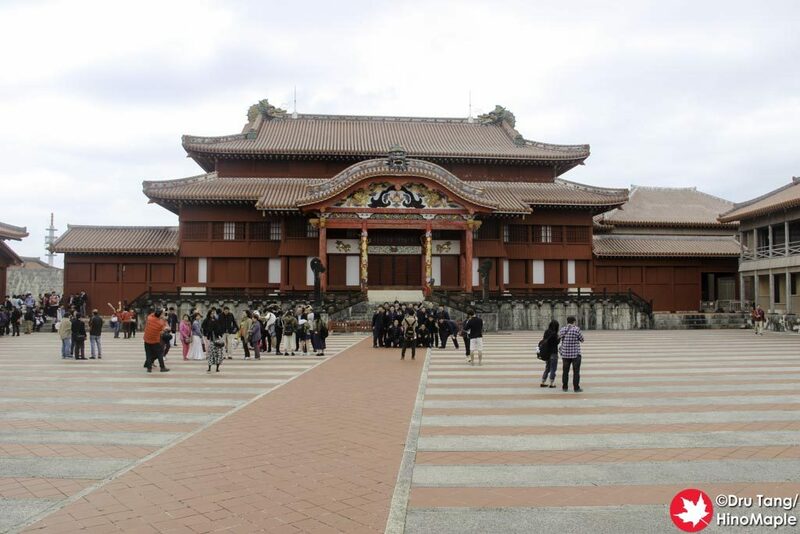 Shicha-nu-una is the main plaza where you congregate before heading into the paid area of Shuri Castle. It is a nice small open space with a ticket booth on the side. You can either go to an attendant or use the ticket machines to get tickets. If you have ever used a train in Japan you will be familiar with the ticket machines and it is very easy to purchase tickets. If you head back towards the visitor’s lobby, you can actually head to the Iri-no-Azana, an observation area. I did a quick look but I didn’t find it worth my time. The views from the main entryway had the best views of Naha. 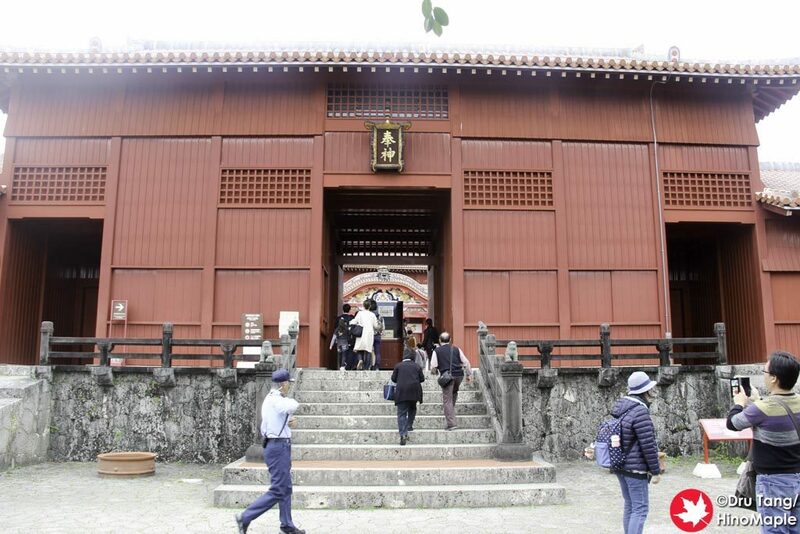 Entrance to the paid area of Shuri Castle. 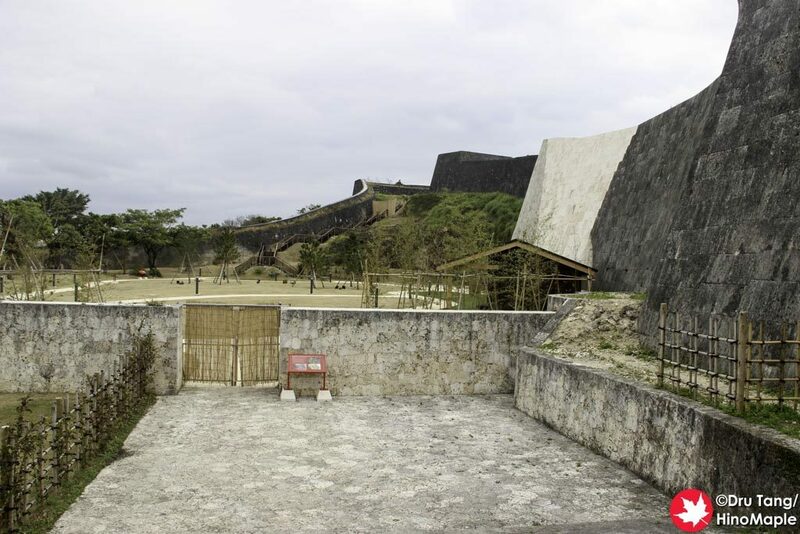 Once you enter Shuri Castle’s paid area you will be in the Una. 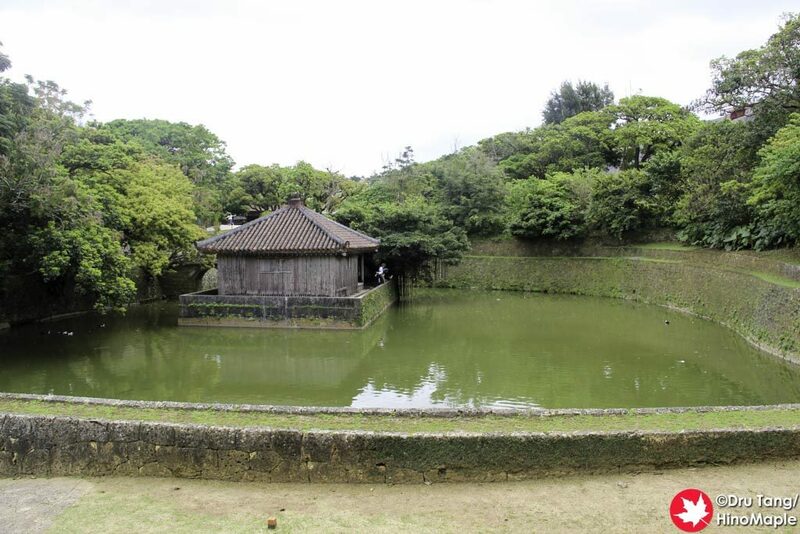 It is a large plaza where the king held formal ceremonies. In front you will see the main castle; to the left is the exit and gift shop; and to the right is the main entrance to the central buildings. You can technically walk through the castle as many times as you wish as long as you do not leave the paid area. The Una is a good place to just get your bearings but it can be extremely busy as many tour groups take the opportunity to just get acquainted with everything. Once you enter the castle you must take off your shoes. You get bags to carry them and the first section, Nanden, doesn’t allow photos. You will see a few interesting historical items from what the king wore to other traditional Okinawan items. This area was basically a small museum before you enter the more historical areas of the castle. After you finish with the Nanden, you will be in the Shoin and Sasunoma area. This is the old living quarters and garden area. From here you are allowed to take photos but the living quarters are very similar to traditional Japanese tatami rooms so it wasn’t very interesting for me. 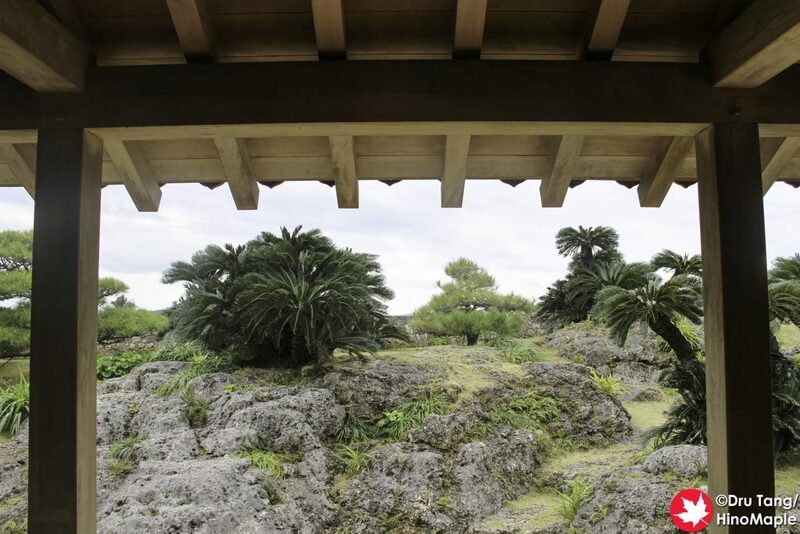 The Sasunoma is one of my favourite places in Shuri Castle and a local friend said he loves that place. 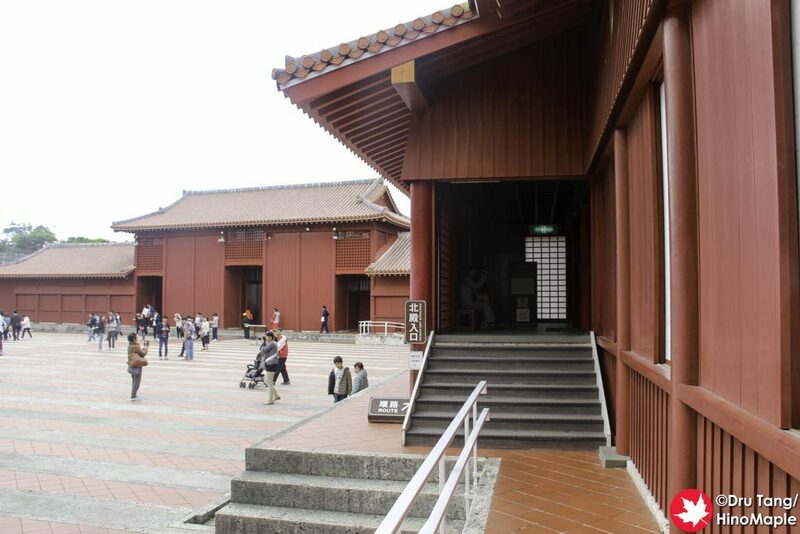 Be sure to read about it in my post, Shuri Castle: Sasunoma Tea Room later this week. 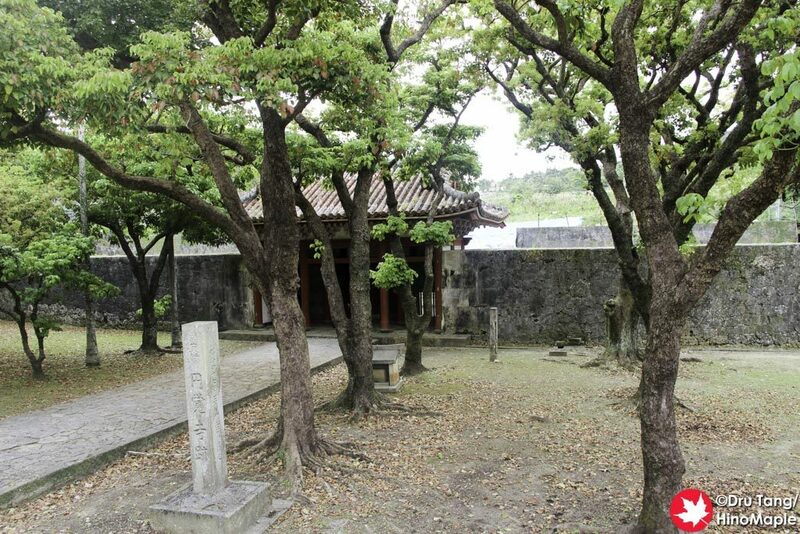 After the Shoin area, you enter a renovated area that includes views of the garden behind the castle as well as a small gallery. The views of the garden are nice and you can really enjoy the garden, but there really isn’t much to see compared to the Sasunoma Tea Room which has the best views. The gallery has even more historical items in climate controlled cases, along with various coins and clothing, but it is not much different to any other museum. The last area you see is the Seiden. 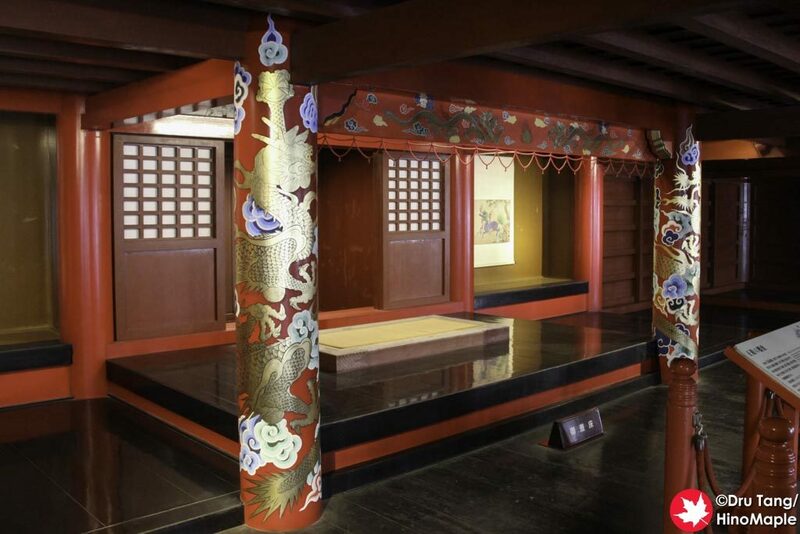 This is the main hall where the king would do his official, and probably some unofficial, business. You see the king’s throne and main court as well as the ground floor court that, from my memory, was used for daily business dealings. 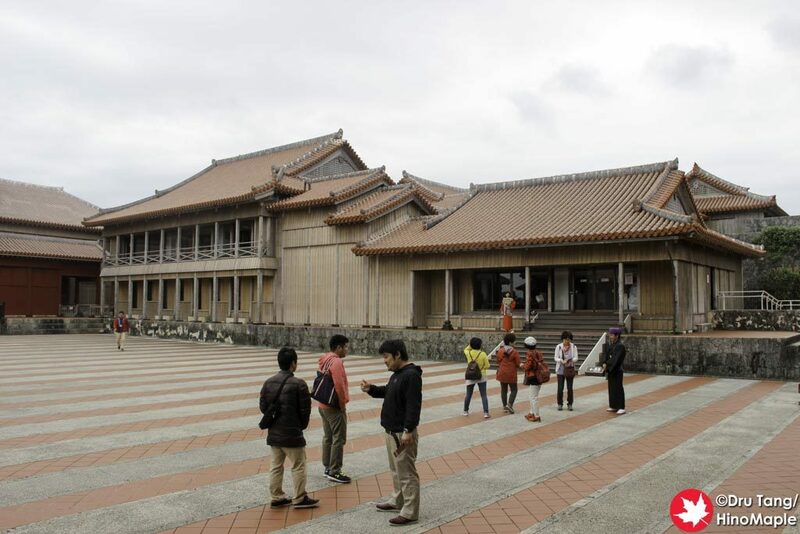 It was a really nice place and where Shuri Castle really shines. I really enjoyed this area the most when it came to seeing new things. Once you finish with the Seiden, you put your shoes back on and you are back at the main courtyard, the Una. You can then either exit down the hill or visit the Hokuden. 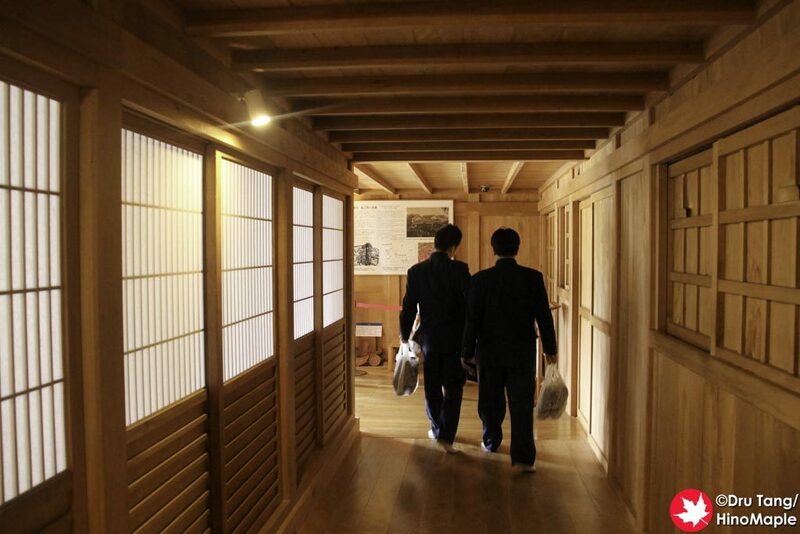 The Hokuden may appear to be a nice place to visit from the outside but inside is nothing more than a modern building. 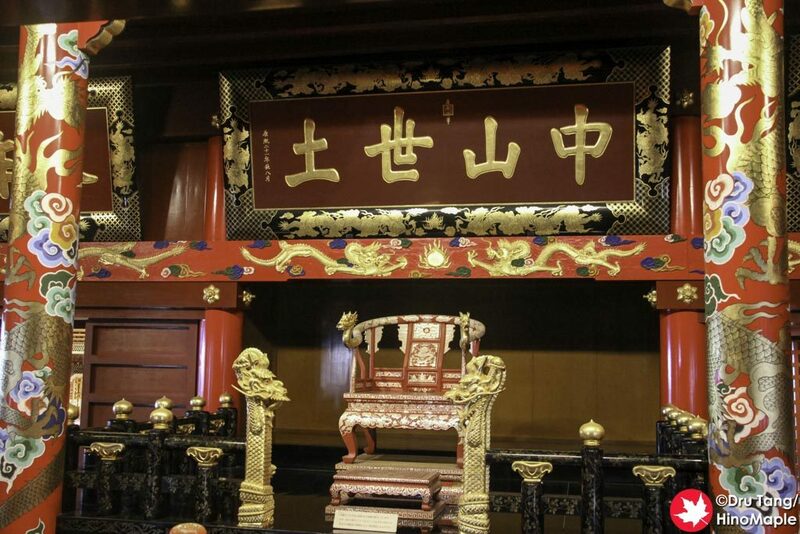 There are some models of some of the furniture of the castle as well as models of what the official ceremonies of the king were like in the past. It was interesting to see them but it was always too busy to really enjoy it. There is also a small gift shop before you exit the paid area of the castle. When leaving, there is a small area that they are still restoring that was really nice to look at. I can only imagine what it will be like in the future but when I visited it was still closed to the public. This may change within a year or two as it looked close to completion. Finally, there is the Ryutan; Bezaitendo and Enkanchi; and the Enkakuji area. 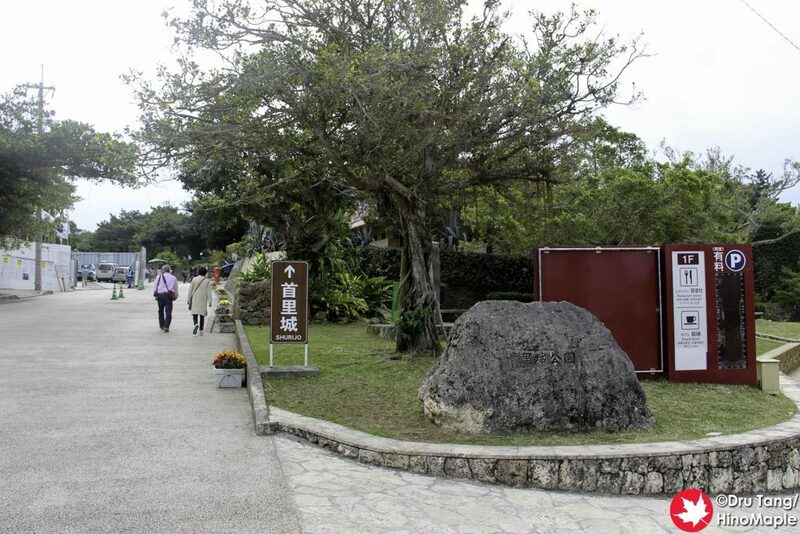 This is located between Shuri Station and Shuri Castle near the Lawson’s convenience store. The Ryutan is a nice little pond that is better when viewed from the street. There isn’t too much to see here as it is just a typical pond. Bezaitendo and Enkanchi were also nice but nothing noteworthy. Unfortunately Enkakuji was closed when I visited so I don’t know much about this place. 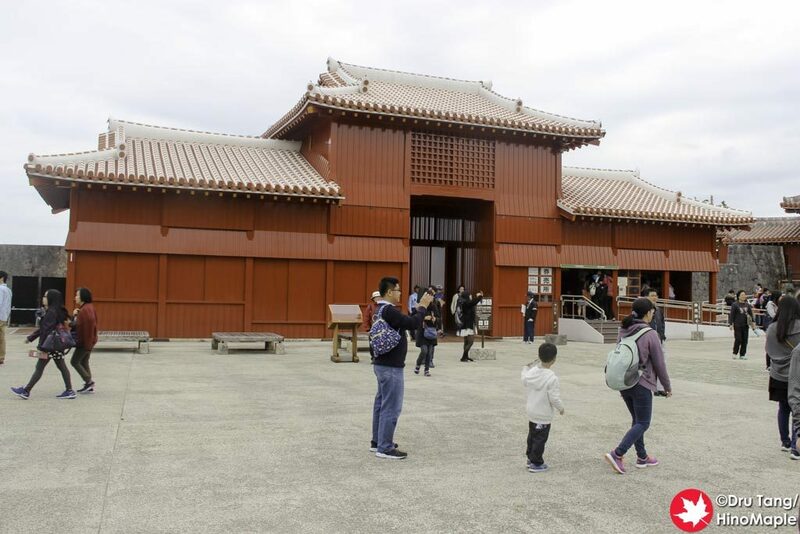 Shuri Castle is a wonderful place to visit but you really need to avoid the busy times. I whet in the morning when it was really busy meaning I didn’t have a lot of fun. I think it is a beautiful castle that is a victim of its own success. If you go in the afternoon on a weekday it will be much better. Spend the morning on the beach and then head to Shuri Castle for an afternoon visit and you will have a much better time than I did. Also be sure to stop by the Sasunoma Tea Room for a little break and you won’t regret it. 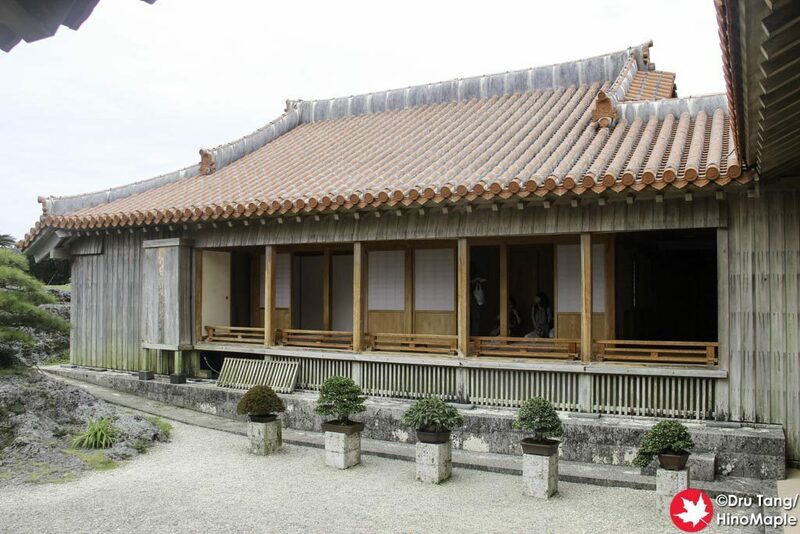 This entry was posted in Okinawa and tagged Bezaitendo, Enkakuji, Hokuden, japan, Naha, Nanden, Okinawa, Ryutan, Ryutan Pond, Sasunoma Tea Room, Seiden, Shicha Nu Una, Shuri, Shuri Castle, Sonohyan Nu Una, Suimuikan by Dru. Bookmark the permalink.